Pros: Teachers can easily assign content to students; the intuitive design means users can be creating screencasts within minutes. Cons: It works only on devices that allow Chrome extensions; the editing process is slow and feels a bit clumsy. 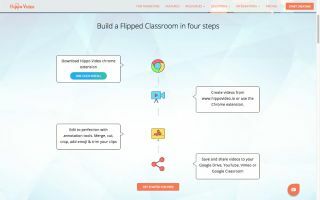 Bottom Line: This is a terrific option that supports flipped classrooms, video feedback, student presentations, and formative assessment.